Sherry FitzGerald is offering No 53 Tur Uisce to the market for sale by private treaty. This wonderful three bedroom mid terrace property is owner occupied, well maintained, and ready for immediate occupation. 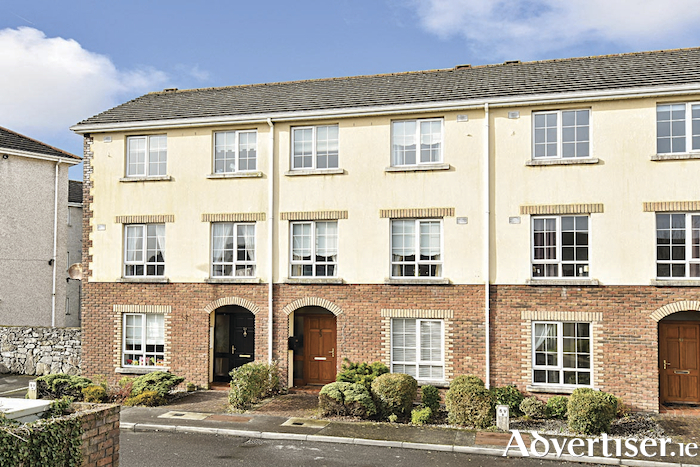 It is located in a well-maintained development within walking distance of local schools, shops, and amenities and within easy access of the M6 Galway/Dublin motorway. The city centre is about 6km away, with regular bus routes available. No 53 comprises kitchen/dining/living room, wc, sitting room, three bedrooms, one en suite, hot press, and main bathroom. The south facing back garden is paved and landscaped and comes with a timber storage shed, timber fence boundaries, and rear gated access. The BER is C1. With an asking price of €225,000, this property would suit an owner occupier or investor, and viewing is recommended.